We celebrate our alumni and other talented individuals through awarding Honorary Degrees. We recognise achievement at the highest level as well as our honorary graduates' dedication to public duty and making a difference to the lives of others. 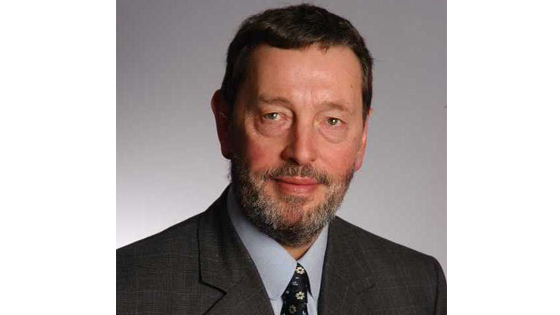 David Blunkett was awarded a peerage in the dissolution Honours List in 2015, taking the title of Lord Blunkett of Brightside and Hillsborough in the City of Sheffield. He also in that year took up a post as Professor of Politics in Practice at the University of Sheffield Department of Politics and became Chair of the board of the University of Law (formerly the College of Law) based in London. Anne Boden is a most unusual banker. After a distinguished 30–year career in traditional banking, including as Chief Operating Officer of Allied Irish Banks, she set out to build her own mobile–only bank from scratch in 2014. Starling Bank launched its personal current account in May 2017 and less than a year later was named Best British Bank in the Smart Money People awards. After gaining a bachelor’s degree in Computer Science and Chemistry from Swansea University, Anne joined Lloyds Bank in 1985. It was there that she had the opportunity to be part of the team that pioneered the UK’s first same–day payment service, which transformed the future of electronic money. Throughout a career that took her to the banks Standard Chartered, UBS, ABN Amro, RBS and AIB as well as to the global professional services company AON and the consultancy PwC, she never lost the enthusiasm for disrupting the status quo. She studied her MBA at Middlesex University in 1987 to 1990 while working at Standard Chartered and in 2011, she served on the University’s Board of Governors. 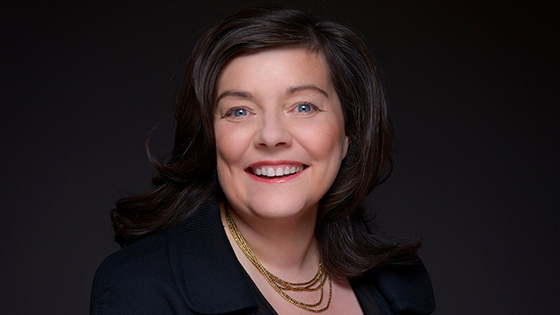 It was during her time as Chief Operating Officer of Allied Irish Banks in 2012 and 2013 where she began to explore the potential of financial technology for transforming customers’ everyday lives and set out to create a new kind of bank. She says, “when I first stepped through the doors of Middlesex University as a young banker in 1987, little did I think that I would one day build a bank from scratch. 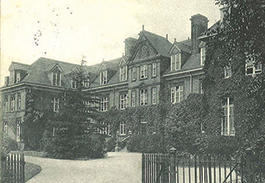 As I fought my way through bureaucracy, in–built prejudices and widespread suspicion to get Starling funded and off the ground, I was so grateful for the lessons I learned at Middlesex”. Andy is a leading practitioner in the field of Human Resources. He has been the Group Human Resources Director of ITV plc and most recently has been the Chief Human Resources Officer of Worldpay Group plc until January 2018. Andy has specialised in business transformation through people, by creating the conditions for people to achieve their best performance. transformations. Andy has used a wide range of tools and creative concepts to achieve major changes in corporate culture and performance. He has delivered high levels of colleague engagement across global and multi–cultural teams that have supported those He has been regularly considered one of the most influential HR practitioners in the UK and is a regular speaker on cultural change and business transformation. Andy has worked in operational and senior HR executive roles in the technology, real estate, construction and leisure retail sectors. Andy was a member of the Board of Middlesex University and is currently a Trustee of Loughborough Students’ Union. 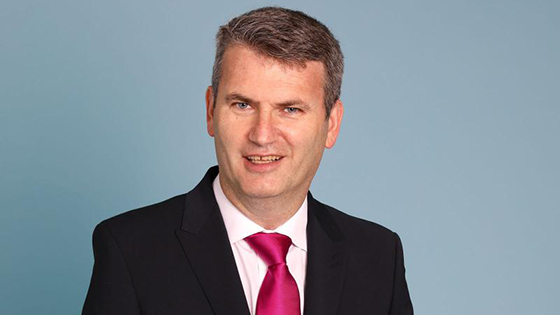 He has been involved in supporting public sector organisations facing transformation as a Non–Executive Director in the social housing and education sectors. He was also a Non–Executive Director of the Broadcast Equality and Training Regulatory. Andy holds a degree in Economics from Loughborough University, is a Chartered Director, a Fellow of the Institute of Directors and a Chartered Fellow of the Chartered Institute of Personnel and Development. He says, “I am very honoured to receive this award from Middlesex University. The University has been at the forefront of work–place learning and finding creative solutions to business challenges. I have seen the real difference that working with the University has created in the workplace”. 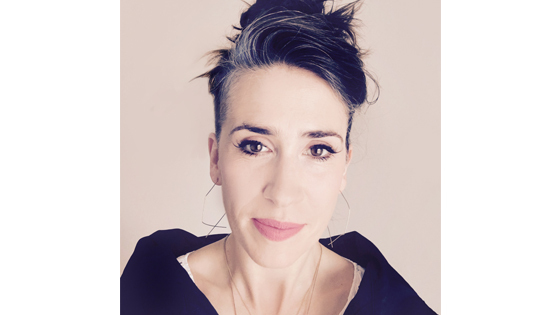 Self–produced, independent, engaged, Imogen Heap blurs the boundaries between pure art form and creative entrepreneurship. Writing and producing four solo albums, Imogen has developed a strong collaboration with her loyal following both on and offline in recognised, pioneering ways. Her graceful tunes such as signature track Hide & Seek populate movies and TV shows, accompany dance and theatre performances. A respected ‘artist’s artist’, Imogen has penned songs with Taylor Swift, Mika, Josh Groban and Deadmau5 among others. Imogen has been nominated for five Grammys, winning one for engineering and another for her contribution on Taylor Swift’s 1989 album. In her self–built home studio also sits an Ivor Novello award, The Artist and Manager Pioneer award, the MPG Inspiration award. She also holds an Honorary Doctorate of Technology in recognition of the mi.mu gloves work: a gestural music making system developed by Imogen for her studio and stage work along with a team of engineers, scientists and musicians. The project has attracted worldwide attention from artists to universities and within the press for humanising music technology in performance. Imogen has also written the score for Harry Potter and the Cursed Child, which has set new standards in theatre. Becoming a mother in 2014, combined with being free of labels and management for the first time in her 20 year career, she released her song Tiny Human as an experiment for Mycelia: her vision for a sustainable music industry ecosystem. Wishing to explore potentials for new business models in light of distributed ledger technology and smart contracts, Imogen released the song complete with a rich set of metadata to empower services to think differently and invite them to collaborate with her for further developments of their services. She says, “I’ve always felt inspired, encouraged and supported by Middlesex University in the work and play we’ve done together and I’m deeply honoured to be recognised in this way. I look forward to the next chapter in our explorations”. 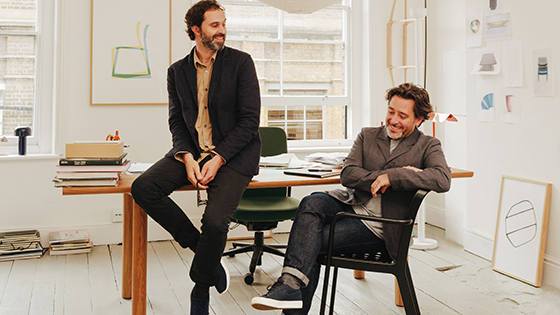 Designers Edward Barber and Jay Osgerby founded their London studio in 1996. Their diverse body of work spans industrial design, furniture, lighting and site–specific installations as well as gallery and public commissions such as the London 2012 Olympic Torch and projects for the Royal Mint. They are currently working with leading global manufacturers including Vitra, Knoll, B&B Italia and Flos. Their work is held in permanent museum collections around the world including the Victoria and Albert Museum and the Design Museum in London, Metropolitan Museum of Art in New York and Art Institute of Chicago. In 2001, Barber and Osgerby established the architecture and interior design practice Universal Design Studio and in 2012, they founded Map Project Office, specialising in research and strategy–led design. In 2007, they were awarded Royal Designers for Industry by the Royal Society of Arts and in 2013, the designers were each awarded an OBE for their services to the design industry. They both hold honorary doctorates of art and lecture internationally. In September 2017, Barber and Osgerby published their latest monograph with Phaidon: Barber Osgerby, Projects written by Jana Scholze. The book deviates from the expected chronological format and explores the designers output under the three chapters of Folded Structures, Frameworks and Volumes and features six essays which started as conversations with collaborators from outside the studio. Chief Rabbi Ephraim Mirvis was born and raised in South Africa and he studied and received his Semicha (Rabbinic ordination) in Israel. 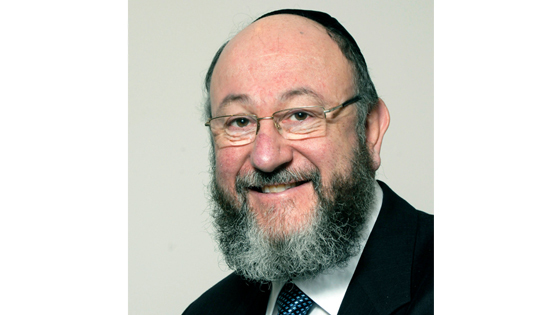 He has served as Chief Rabbi of Ireland and Rabbi of the Marble Arch and Finchley Synagogues in London. Now in his fifth year as Chief Rabbi of Great Britain and the Commonwealth, he has developed a reputation as a principled spiritual leader who has broken new ground in the areas of interfaith social and responsibility. He has prioritised the development and strengthening of Jewish communities under his aegis, from Hull to Hong Kong and from Cardiff to Cochin. Chief Rabbi Mirvis is a champion of faith communities, striking an essential balance between the particular values that make them unique and the universal human values we all share. He serves as Associate President of the Conference of European Rabbis and he is President of the London School of Jewish Studies. He is considered a religious figurehead for Jewish communities across the world and is a regular contributor to press and broadcast media. Upon receiving the honorary degree, the Chief Rabbi says, “this is a great honour, which I am privileged to accept on behalf of the wider Jewish community that often finds in Middlesex University a real partner in social and communal responsibility. I look forward to cultivating that warm relationship for many years to come”. Caroline graduated as a nurse in 1987 from Edinburgh University (BSc/RGN) and has an MSc in Nursing Studies from South Bank University (2001). Caroline took up her current role of Chief Nurse for Barts Health in March 2016. From 1987 to 1993, she specialised in nursing older people in Edinburgh and then London at Guy’s Hospital as a ward sister. Caroline then worked for the Foundation of Nursing Studies for three years supporting nurses to use research in practice. In 1998, Caroline returned to the NHS and worked in Tower Hamlets in a range of roles within older people’s services. In 2005, Caroline took up her first Director post as Director of Nursing and Therapies within Tower Hamlets Primary Care Trust. With the clustering of Primary Care Trusts in London in 2011, she took on the Director of Nursing and Quality within NHS East London and the City initially, and then within NHS North East London when the clusters merged in 2012. Caroline was the Chief Nurse for NHS London for six months until she joined NHS England as Regional Chief Nurse for London in April 2013. She was delighted to have returned to the East End and to work at the Trust in 2016 when she became Chief Nurse for Barts Health. Caroline was a 2008 Florence Nightingale Leadership Scholar. She was a Visiting Professor at City University until 2012 and is now a Visiting Professor at Bucks New University. She was awarded an Honorary Doctor of Science by City University in February 2017 for her contribution to nursing. She says, “I feel truly honoured to receive this Honorary Degree from Middlesex University. 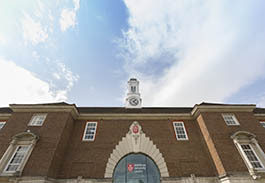 The partnership I have developed with Middlesex University during my time at NHSE in London and more recently at Bart’s Health has underpinned much of the innovation we are bringing to nursing across the capital through Capital Nurse and locally in North East London through education and research”. A graduate of London University, Penny’s first career was in the Royal Navy with appointments in intelligence, nuclear war planning, public relations, university units and personnel policy. With further academic qualifications, she became the first woman barrister in the navy and was promoted to commander but blindness ended her career early and she is now a war pensioner. Undaunted, she has run Disability Dynamics for nearly 20 years, helping other disabled people to get back to work particularly through self–employment and was awarded an OBE. Most recently, she started her Baking Blind YouTube channel to demonstrate that disability is no bar to ambition. She consequently won the international Holman prize that funded her cooking and promotional tour across six continents last year. Now nearly recovered from a major car accident in 2017, she has over 50 videos of her life–changing adventures and culinary partnerships to broadcast to a growing international following. Penny’s public life activities have also included international roles as a UK delegate to the European and World Blind Unions, speaker at conferences on disability employment and promotion of blind people at work. In the UK, she has delivered disability advice, training and consultancy to the Ministry of Defence, Olympic Delivery Authority, regional government, national policing and the private and voluntary sectors. 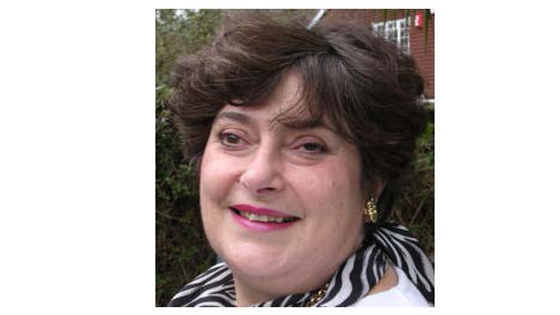 She was Chair of the South East War Pensions Committee and of the Hampshire Learning and Skills Council. She is a member of the HMRC Board, the Employment Tribunal Steering Board, the Office for Disability Issues advisory group, the DWP Standards Committee and more. She says, “I am hugely grateful to Middlesex University for recognising that work in the disability field has both national and global significance. There are some one billion people around the world who struggle to fulfil their potential. Every one of us can make a difference by turning inclusive attitudes into tangible practical actions”. 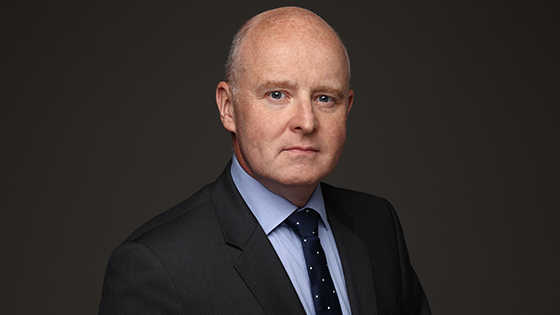 Mark studied BA Law at Middlesex Polytechnic between 1984 and 1987 and split his articles between London and Manchester qualifying as a general commercial litigator who did some libel and some privacy. Along the way, he undertook cases that were part of the need to reform libel law, obtained the first reported super injunction and according to the New York Times invented the Tort of Phone Hacking, negotiating the largest settlement in media law — £3 million — closing the News of the World, giving evidence to Parliament and the Leveson Inquiry. More recently, successfully representing Jack Monroe in her Twibel (twitter libel) claim against Katie Hopkins and currently representing Martin Lewis in his claim against Facebook. Mark has been profiled in newspapers in four continents and appeared on television in all six. He says, “I’m delighted to be awarded an honorary degree from Middlesex University, which is where I learned about law and the importance of finding the answer to the problems that exist”. 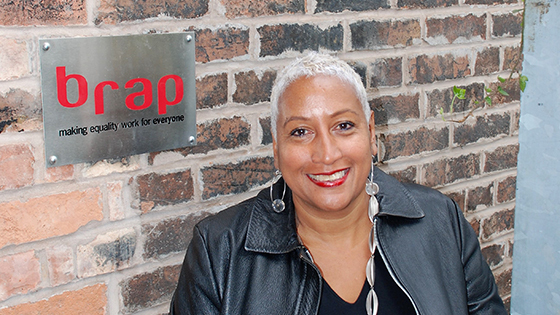 Joy Warmington is CEO of brap, a charity transforming the way we think and do equality. Under Joy’s leadership, brap has established itself at the cutting edge of equalities practice, supporting organisations including NHS England, Macmillan Cancer Support and the Department of Education. In the last two years alone, brap has worked with over 60 NHS trusts, helping to reduce inequality and deliver more inclusive patient care. Joy’s career spans the community sector, local government and further education. All her roles have focused on equity, working with marginalised communities, expanding curriculum and promoting educational opportunities. 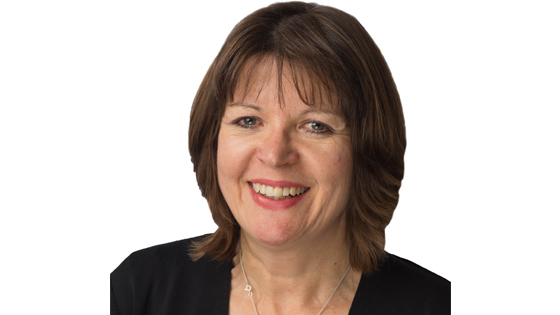 Joy is also Vice–Chair of Birmingham and Solihull Mental Health Foundation Trust and has been Chair of Children in Need (central region) and a member of NHS England’s Workforce Race Equality Standard Advisory Group. 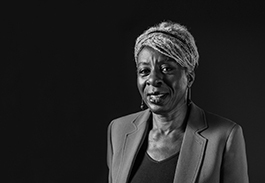 Joy has authored over 30 reports and articles on equalities practice and organisational culture. As a result of all this work, the Birmingham Post named her as one of the 250 most influential people in the West Midlands. Speaking about the award, Joy says, “it’s a great honour to be awarded a degree by Middlesex University. Over the years, we have found research produced by the University’s Business School invaluable in our work supporting organisations to become inclusive. I see this award as another sign of the University’s commitment to equality and a vote of confidence in brap and our work”.